Most college basketball fans were looking forward to watching Zion Williamson (and the rest of the Duke roster) play in the Final Four and eventually for the national championship. However, while having tremendous talent, like Zion, on the roster is great, so is having depth–which Duke fans found out the hard way. The most famous face in college basketball is not going to be playing in the Final Four. But there are going to be some very good teams vying for a chance to play for the national championship including two playing in the Final Four for the first time in program history (Auburn and Texas Tech). The action will get started Saturday with the lone remaining No. 1 seed Virginia Cavaliers taking on the highest remaining seed, the No. 5 Auburn Tigers. If fans had been asked to pick which No. 1 seed was going to be the last one standing, few (if any) would have said the Virginia Cavaliers. Yes, they were a great team during the regular season and deserved to be a No. 1 seed. But the fact that they made history by becoming the first 1-seed to lose in the first-round last year made people nervous. They were supposed to be great last year last year, too, and that didn’t work out. So, why should anyone think it will this time? It nearly didn’t as they were down at halftime in round one, but they got it together in the second half and won with ease. Purdue nearly got the best of them in the Elite Eight but the Cavaliers were able to pull out the win in OT. 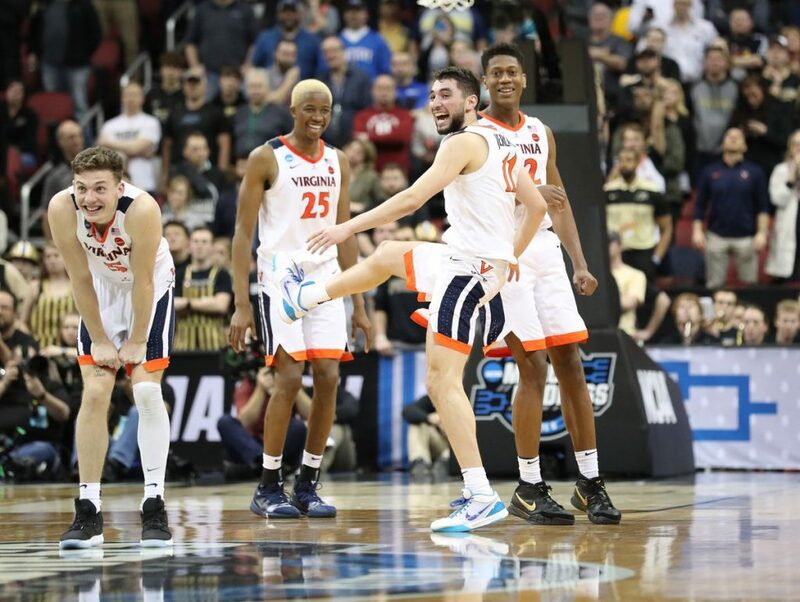 Had Kyle Guy not found his shot against the Boilermakers and broken out of his slump, Virginia would be watching the Final Four from home Saturday night. The Tigers making it to the Final Four is a surprise in more ways than one. It is not often that a No. 5 seed makes it to the Final Four. There have only been seven 5-seeds that have made it that far. The last time one did, two accomplished the feat, Butler and Michigan State, back in 2010. But what makes their presence in the Final Four even more surprising is the fact that they lost one of their best players (if not their best player) Chuma Okeke to a torn ACL against North Carolina. Yet, without him, they were still able to overcome the Kentucky Wildcats to earn their spot in the Final Four. Their defense did suffer against the Wildcats with Okeke on the sideline. But they were still able to force the Wildcats to settle for more three-point attempts than John Calipari wanted his guys to take. However, if the try to the same strategy against the Cavaliers, it may backfire. Virginia is a decent three-point shooting team. 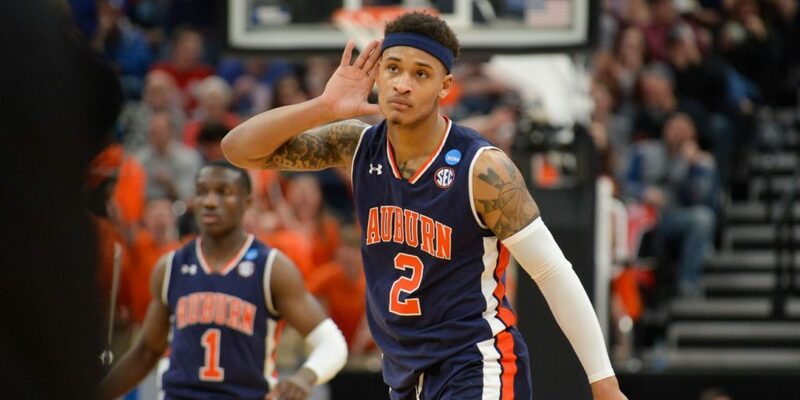 Auburn is going to try to do what they have done all season—throw up a ton of three-point shots. Almost half of their shots this season came from behind the arc and over 40 percent of their points did. They are going to want to keep the ball moving in order to keep Virginia’s defense from locking down the perimeter and forcing them to go inside more. Virginia is going to want to control the pace of the game. They are going to want to force the Tigers to slow it down and work hard for ever shot attempt they take. That will make every attempt crucial and every miss by Auburn the one that could cost them the game. The Tigers are playing like the better team right now, but it is hard to judge how much emotion played into their win over Kentucky. That emotion will not be available to help drive them a week later. However, at the same time, Virginia appears to have done more surviving rather than winning in the tournament. Go with the upset and take Auburn (+202) to win over Virginia (-242), straight up and against the spread (+5.5). As for the over/under—take the under. Auburn is not a high scoring team and Virginia cant be trusted.